Through their ability to edit 6-O-sulfation pattern of Heparan sulfate (HS) polysaccharides, Sulf extracellular endosulfatases have emerged as critical regulators of many biological processes, including tumor progression. However, study of Sulfs remains extremely intricate and progress in characterizing their functional and structural features has been hampered by limited access to recombinant enzyme. In this study, we unlock this critical bottleneck, by reporting an efficient expression and purification system of recombinant HSulf-2 in mammalian HEK293 cells. This novel source of enzyme enabled us to investigate the way the enzyme domain organization dictates its functional properties. By generating mutants, we confirmed previous studies that HSulf-2 catalytic (CAT) domain was sufficient to elicit arylsulfatase activity and that its hydrophilic (HD) domain was necessary for the enzyme 6-O-endosulfatase activity. However, we demonstrated for the first time that high-affinity binding of HS substrates occurred through the coordinated action of both domains, and we identified and characterized 2 novel HS binding sites within the CAT domain. Altogether, our findings contribute to better understand the molecular mechanism governing HSulf-2 substrate recognition and processing. Furthermore, access to purified recombinant protein opens new perspectives for the resolution of HSulf structure and molecular features, as well as for the development of Sulf-specific inhibitors. Amal Seffouh and Rana El Masri contributed equally to this work. The online version of this article ( https://doi.org/10.1007/s00018-019-03027-2) contains supplementary material, which is available to authorized users. 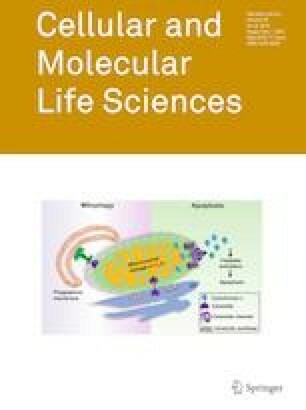 The authors would like to thank Elisa Tournebize for technical assistance, Marjolaine Noirclerc-Savoye for her precious advice on molecular biology, Philippe Desprès for providing the SNAP-containing shuttle vector and Kenji Uchimura for the Anti-HSulf-2 antibody. This work used the SPR, Robiomol and amino-acid sequencing platforms of the Grenoble Instruct centre (ISBG; UMS 3518 CNRS-CEA-UJF-EMBL) with support from FRISBI (ANR-10-INSB-05-02) and GRAL (ANR-10-LABX-49-01) within the Grenoble Partnership for Structural Biology (PSB). This work was also supported by the CNRS and the GDR GAG (GDR 3739), the “Investissements d’avenir” program Glyco@Alps (ANR-15-IDEX-02), and by grants from the Agence Nationale de la Recherche (ANR-12-BSV8-0023 and ANR-17-CE11-0040) and Université Grenoble-Alpes (UGA AGIR program).